In case you didn’t know, we can do all sorts of cool binding with custom made covers. 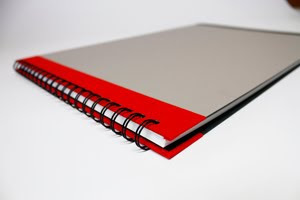 Binding styles we can do include: Perfect binding, Hardcover case binding, Wire-O and Plastic Coil, Velo, Comb and others. We can do just about anything with the covers- colors, textures, cloth or leather, transparent, embossing, die-cut, laser-etched, you name it! You should come in and have a look.